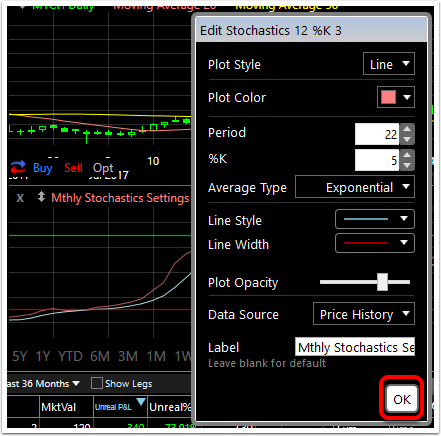 Edit any indicator to customize parameters such as color, appearance, period, standard deviation, and many other properties. 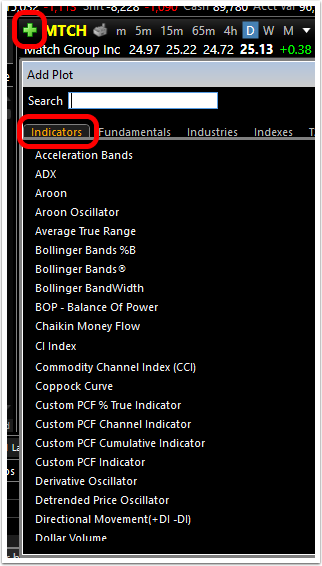 Then Save the indicator with the customized parameters to the Indicator Library. 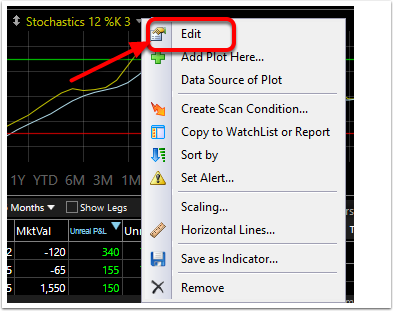 This allows the edited indicator to be used on any chart with no need to edit the settings again. 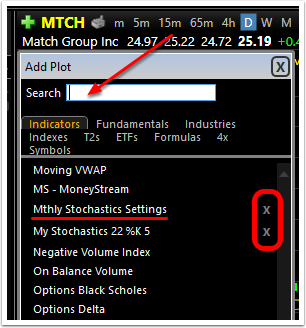 In this example the Stochastics Indicator will be used. Zoom: 1. You can change an Indicators settings by clicking on the title of the indicator you would like to edit. Use the Line Style drop down to choose between solid, dotted, small dash, large dash. 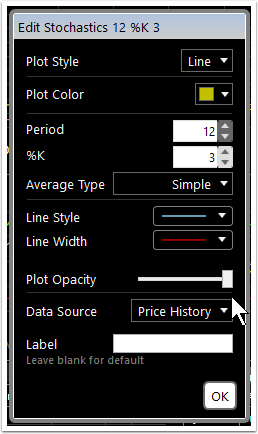 Use the Plot Width drop down to choose from a variety of line widths. The slider changes the indicator's opacity on the chart. Data Source. 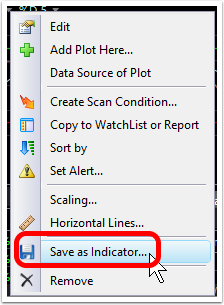 Select from any plotted indicator to set the source on which this indicator is built. Enter a preferred name in the label field. That name will appear at the top of the chart. Click OK to Save the Indicator. (The label can be changed. Any optional part of the indicator can be unchecked before saving.) Click OK to save to the Indicator Library. 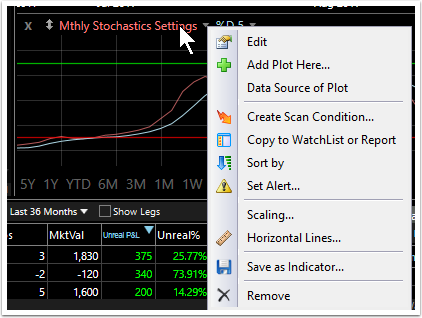 To add a saved custom indicator to any chart, click the Add Plot button and select the Indicators Tab.